Universal Sonar 2 delivers advanced water temperature sensing and DualBeam PLUS technology for the best view of the waters below. Adapter connects your Humminbird ONIX fishfinder with a Universal Sonar 2 transducer on your trolling motor. Shielded, IP68-rated waterproof connectors are metal tipped to prevent sonar interference. NOTE: Minn Kota motors with built-in Universal Sonar 2 (including those with i-Pilot Link) are not compatible with Humminbird's Down Imaging Sonar. 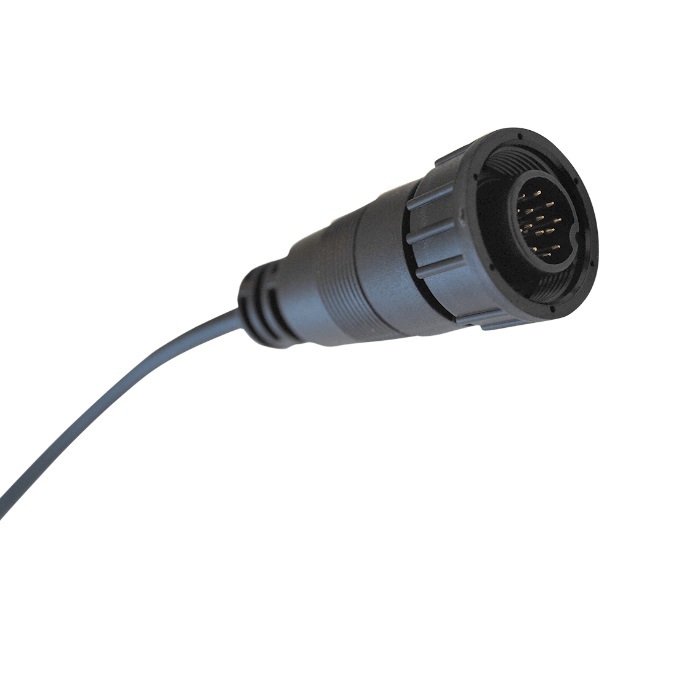 An external XTM 9 WIDE DI 20 T (83/200) or XTM 9 DI 25T (200/455) is required for all sonar readings with all HELIX 12 , HELIX 10, HELIX 9, 1100, 900, and 800 Humminbird Down Imaging units. An external XTM 9 DI 25T transducer would be required for the Down Imaging versions of the HELIX 7 and HELIX 5 along with the 788ci HD DI.